Get hands-on access to the Stanley Cup and immerse yourself into the rich history of hockey’s greatest treasure. 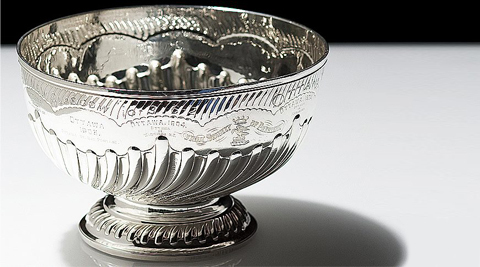 On March 18, 1892, Lord Stanley of Preston delivered a statement in which he committed to donate a trophy that would be competed for by Canadian hockey teams. Little did he realize just how powerful and magical his gift to the game would prove to be. See the Dominion Hockey Challenge Cup, aka the original Stanley Cup, that was first awarded to the Montreal AAA on May 15, 1893 - exclusively on display in the bank vault at the Hockey Hall of Fame. Get up close and personal with the Stanley Cup. No visit is complete unless you've had your photo taken with hockey's most coveted trophy. The Stanley Cup makes its permanent home within the Esso Great Hall at the Hockey Hall of Fame. This cathedral to the icons of hockey is home to every major NHL trophy, portraits and biographical sketches of each Hockey Hall of Fame Honoured Member, and is the highlight of any visit to the Hockey Hall of Fame. 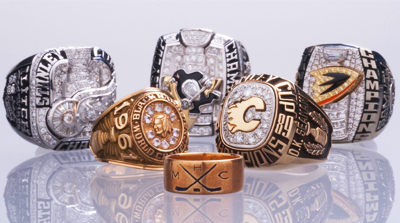 A remarkable collection of more than 20 rings spanning from the first-ever Stanley Cup (1893, Billy Barlow, Montreal AAA's) to the 2016-17 championship ring donated by the Pittsburgh Penguins. 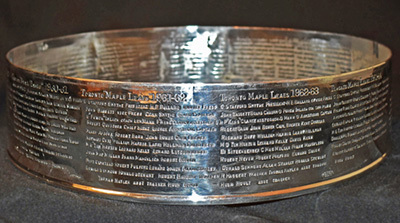 To maintain the profile of the iconic trophy, the Stanley Cup band honouring champions from the 1953-54 to 1964-65 seasons has been preserved and placed on permanent display exclusively at the Hockey Hall of Fame. Sixteen Hockey Hall of Fame Honoured Members (Players) appear on this band. This historic and celebrated band joins previously retired bands, the earliest dating back to the 1927-28 season. The next band to be removed and retired will take place in 2030. Click here for more on the retired band. 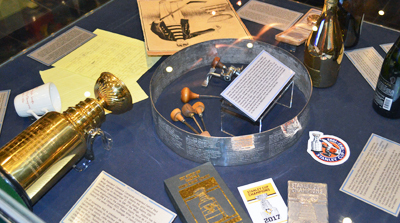 pre-NHL Stanley Cup ribbons and memorabilia; and tools used to craft and engrave the trophy. 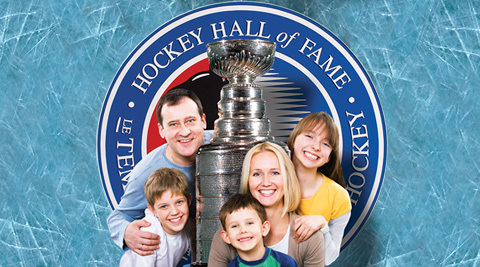 Complement your visit with the Hockey Hall of Fame's Personalized Tour App. Download now.